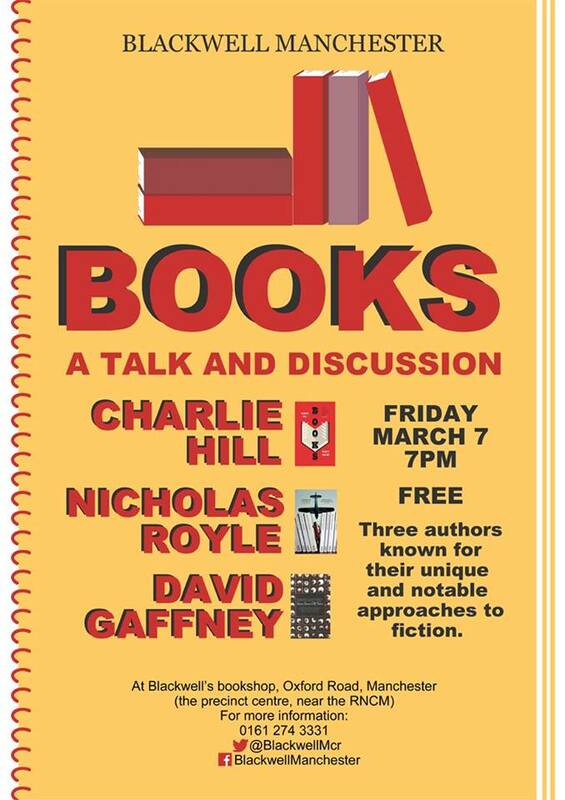 Books: a discussion with Charlie Hill, Nicholas Royle & David Gaffney: 7th March 2014 – Reader! Read Faster! 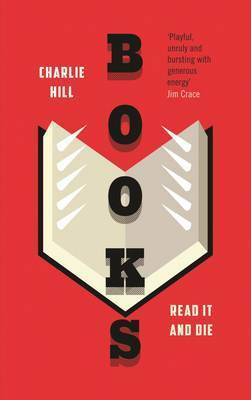 Three authors will read and discuss their work in a special panel discussion at Blackwell’s Manchester on March 7th. It starts at 7pm and entry is free. It’s our first event in Blackwell’s for a while. It’s Charlie’s debut at a Blackwell’s event, while we’re happy to welcome back Nick and Dave. You’ll get three writers known for their unique and notable approaches to fiction, and it will, of course, be compered in our usual, unique way! Posted on February 19, 2014 March 3, 2014 by Fat Roland	This entry was posted in Uncategorized. Bookmark the permalink. ← Our, er, little horse says Happy Chinese New Year!